Today is the day we launch the first part of our US Airborne update to the public. This includes the map Velmolen with the 82nd Airborne along with all the new weapons & equipment of the US Airborne. You can expect to see 2 additional maps (Grave and Veghel) in the near future along with the 101st Airborne. This weekend we will be hosting a StackUp event with OWI & Onward. 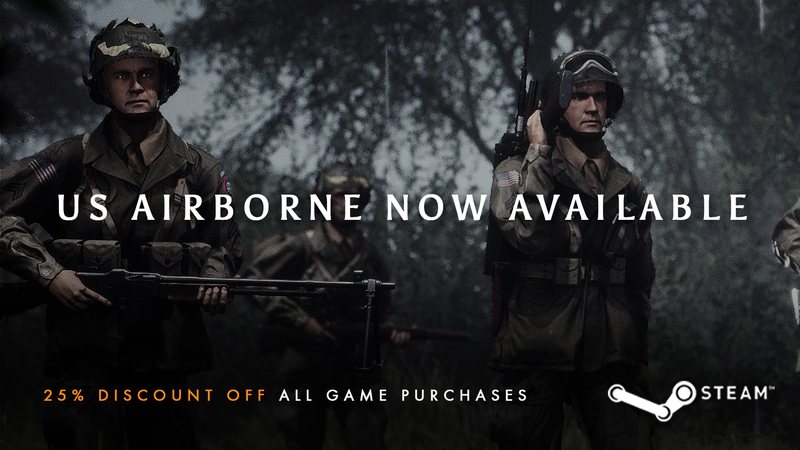 In honor of this and the launch of the US Airborne, we are also turning this weekend into a free event for all steam users alongside a -25% Off discount on all steam purchases.